Here we are going to take a look at Mike Cruickshank’s Matched Betting Software. So you’ve signed up to Profit Maximiser (or possibly another matched betting product) and you are wondering whether it is worth purchasing the matched betting software as well. Is it worth the extra investment? Should you just soldier on yourself finding the matched bets? And what exactly do you get with the matched betting software? Let’s cut to the chase and answer probably the main question you have – is it worth purchasing? Well in our view if you are serious about your matched betting, then this is a no-brainer really. It will pay for itself within a few weeks (depending on how much match betting you do) and then you will be reaping benefits for months and months to come in added value for your bets. Plus it will save you hours of searching for bets and comparing odds and the frustration of just missing out on odds after spending ages finding them. It’s one of those things that after you’ve used it for a little bit, you’ll probably wonder how on earth you did without it. There are some great features to it, including most notably the in-play matched betting tool, which is great for those in-play free bets like Bet365’s free £50 in-play bet and Paddy Power’s free £10 in-play bet etc. So overall we have no hesitation in recommending Mike’s Matched Betting Software and would say you really shouldn’t be without this if you are going to do any real matched betting at all. And the great news is you can now get a 30 day trial for just £1, meaning you can test out the software for yourself and see how good it is. Now we will take a look at the various features of the software so you can see exactly what is on offer. What do you get with the Matched Betting Software? The main point of the matched betting software is to find you the best possible bets for your matched betting, saving you a great deal of time and getting you better value on your bets, thus making you more money. So let’s take a look at some examples. There are generally two types of matched bets. This is a general “free bet” that you tend to get when opening an account or as a refund from some kind of special offer. This free bet can be used on any market and you just want to find the best possible opportunity to place your matched bet so that you make a profit. Rather than searching back and forth between the bookie and the exchange, checking various markets to find a good match between the odds, you can just click on the software and it will find you the best opportunities automatically. So let’s say you had a £25 free bet with Victor Chandler that you could use on anything. So you could see there that there is a very close match in the odds in the under 3.5 goals market in the game between Malaysia and East Timor, so you could use that for your matched bet. You can play around with the stakes and set it to underlay or overlay using the bar at the bottom if you like. Then when you have worked out the staking, you can click through from there to the relevant bookie and exchange market, using the links on the bottom left. So with just a few clicks you will have found your matched bet, worked out your stakes and placed the bet – all in just a couple of minutes. 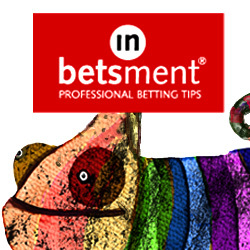 The other kind of matched bet you may want to place is one on a specific match or market. For example, it may be you have a £50 free in-play bet from Bet365 for a big football match. You can do the same kind of search as above on VC Bet, but this time selecting Bet365. Then you can select a specific match. So let’s say you wanted to place your qualifying £50 pre-match bet on England v Portugal. So you could then select the best bet for pre-match purposes. And the real piece-de-resistance of the Matched Betting Software is that it even has an in-play option, so once the match goes in-play you could select the best opportunity then as well. Try out the Matched Betting Software for a month for just £1 here. What other features do you get with the Matched Betting Software? So that covers the main uses of the Matched Betting Software, but what else do you get with it? Well of course, you may just want to see the best overall matched betting opportunities of the day, or be interested in doing some arbing. The matched betting software will show all the best opportunities currently available, from over 70 bookies and all the main exchanges: Betfair, Smarkets, Matchbook and Betdaq. So above you can see all the best opportunities across all bookies and markets. There are lots of arbing opportunities available here. The number in red on the left is the rating – if it is above 100, that means you will make a profit from the matched bet, if it is below 100 you would make a small loss. If the rating is 111.03 for example, that means you would make £11.03 from the bet if you placed £100. Now our own view on arbing is that it is not a great idea. The bookies hate it with a passion and will limit or close your account faster than you can say “but I’ve only made 30 quid so far” if they see you doing it. And they have software to track people who may be arbing, so going under their radar is pretty tough. But anyway, the option for doing some arbs is certainly there if that is your thing. The Dutching tool is a very nice additional feature which allows you to find bets that don’t require use of the exchanges, just two different bookies. These are in markets where there are only two possible outcomes, such as Draw No Bet or BTTS (both teams to score). The tool will find opportunities where you can make a profit from backing the two outcomes in that market. So in the top game, you could make £5.36 from a £100 stake. The calculator will tell you how much you need to place with each bookmaker. The custom search tool allows you to search for possible match bets in a particular event, with a particular bookie, at certain odds, rating and/or time. This is useful if you want to find a matched bet for a specific offer where it can only be used in a certain event, like a lot of the refund offers tend to be. There is a specific tool for the channel 4 horse racing offers, which is an excellent additional benefit. Basically a number of bookies have special offers for races that are live on Channel 4 on UK television. These offers are for things like Bet 365’s offer to back a winner at 4/1 or more and get a risk free bet. Using these special offers is an additional weapon in the matched bettor’s armory and we know some people make quite a bit of money out of these offers, so having this as part of the package is a real bonus. Another excellent aspect of the matched betting software is the alerts feature. This is basically for a situation where the bookies have given you a special offer and you have searched on the matched betting tool for a possible matched bet but the odds just aren’t very good. This could be for example because it is a couple of days before the event and there isn’t the liquidity in the exchanges yet. So you can set the alert up to let you know when the odds meet your specified criteria. You get a rather loud warning (a bit like a car alarm) when you criteria are met. You can set up to 5 separate alarms at any one time, although Mike may increase that in future. It is clear that Mike has put a huge amount of work into making the ultimate matched betting software and we have to say we are very impressed. If you are planning on doing any serious matched betting at all, then this will really maximise your bets for you and save so much time. With each matched bet being so much easier to put on, that frees you up to do more match bets and make even more money. There are so many great features to it in addition to the main matched betting software, like the in-play tool and the Channel 4 racing feature. So if you’ve bought Profit Maximiser or one of the other matched betting products out there, we strongly advise getting your hands on the matched betting software as well. After a while you will wonder how you ever did without it! And with a 30 day trial for just £1, it really is a no-brainer to give it a go. Matched Bets – Final Review Is Matched Betting Legal? Matched Betting Tips Matched Betting Without Free Bets – Is it Still Possible?